A detailed travel guide on what to do in Prague no matter if you are just staying one day or a week. 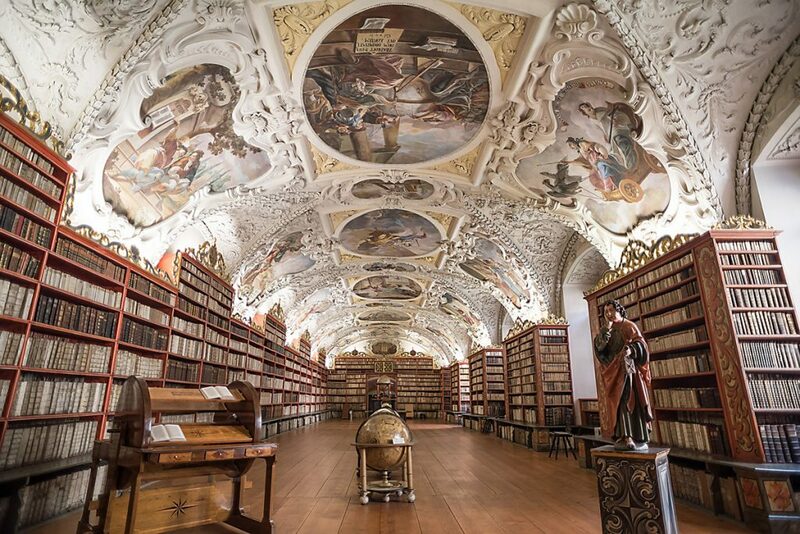 So, you are planning a trip to Prague but don’t know what to do in Prague? Then fear not! 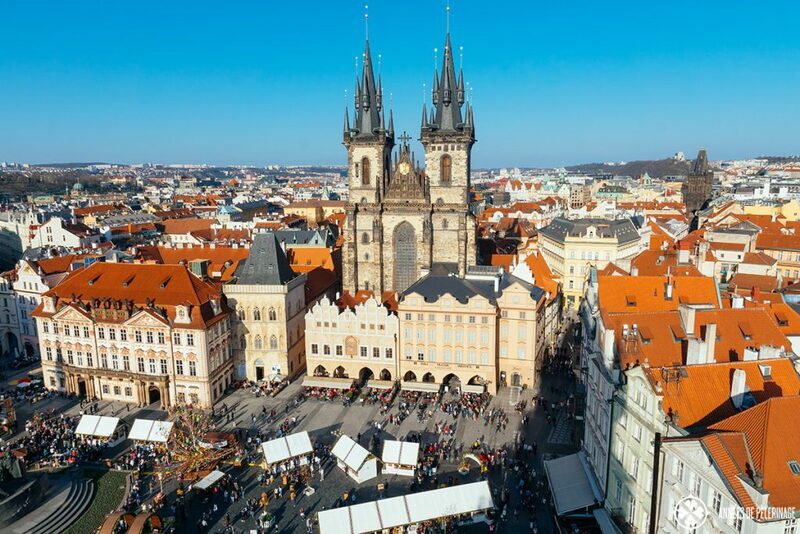 Czech’s capital of 1.3 million inhabitants has a rich history of more than 2,000 years to keep you occupied for at least 2 full days – more if you plan to explore the beautiful bohemian countryside. But what are the best things to do in Prague? I visited the beautiful city on the river Vltava many times and distilled a comprehensive list of the best tourist attractions you really must see in Prague. This is not just your standard travel guide. Instead, I tried to focus on giving you some useful extra hints and highlight points of interest in Prague most other tourists never knew existed. But let’s dive right into it! 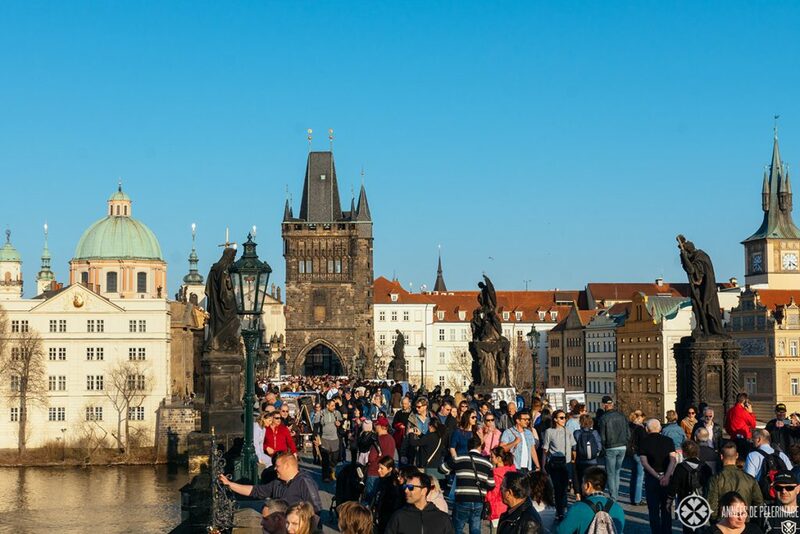 The Charles Bridge (Karlův most) is probably Prague’s most important tourist attraction. The bridge of 621 meters connects the old town with the lesser quarter (Malá Strana). It dates back to 1357 and is lined with 30 baroque statues. The bridge is arguably extremely pretty, but it is also a very crowded place. Only pedestrian traffic is allowed, but that doesn’t hinder in numerous street vendors and performers to bait the deep pockets of the international tourist crowd. There are a couple of (arguably quite touristic) restaurants on the banks close to the bridge which offer a very good view. Pro tip: The best time to take pictures is early in the morning, as the sun will set behind the castle. But don’t expect an empty bridge – even very early in the morning. 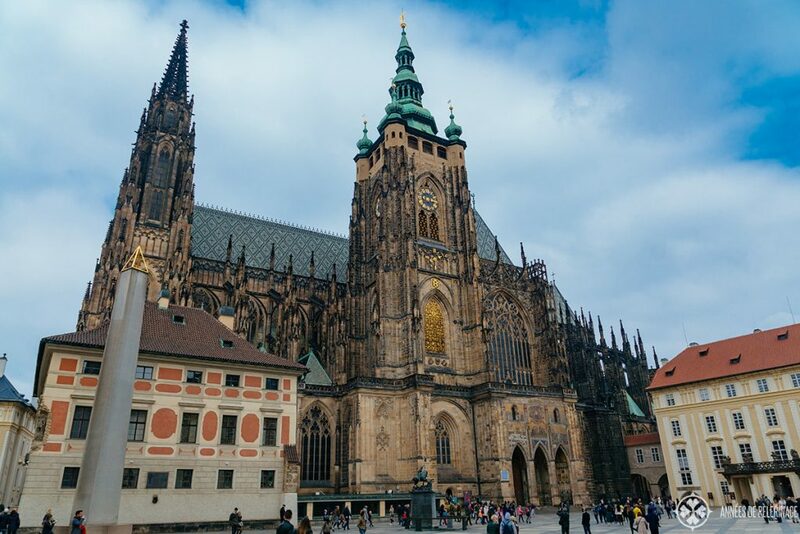 Prague castle is said to be the largest ancient castle in the world. It is also the official seat of the President of the Czech Republic and dates back to 870 AD. Truly a must-see attraction in Prague. 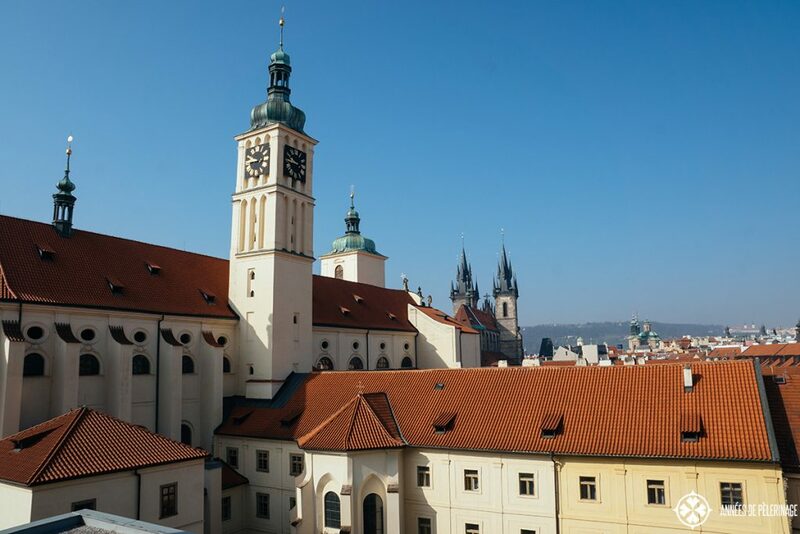 If you remember you histories, you might be aware that the Thirty Year’s War started with the infamous Second Defenestration of Prague which took place in Prague Castle. 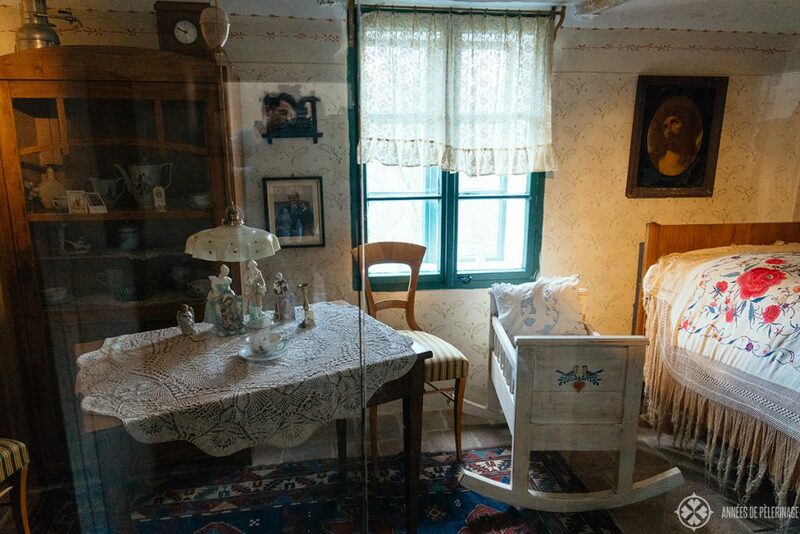 The rooms and the window, where the two regents, Martinice and Slavata were thrown out, can still be visited today. 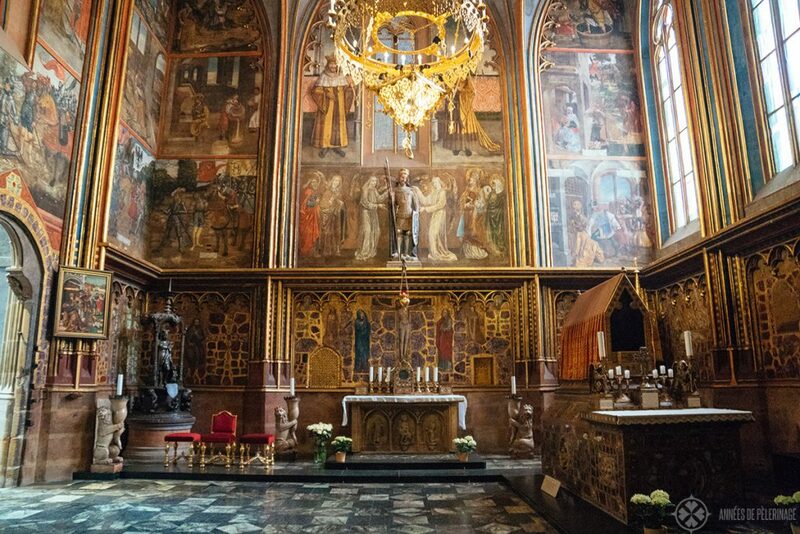 You should definitely also take time to visit the impressive Saint Vitus Cathedral. 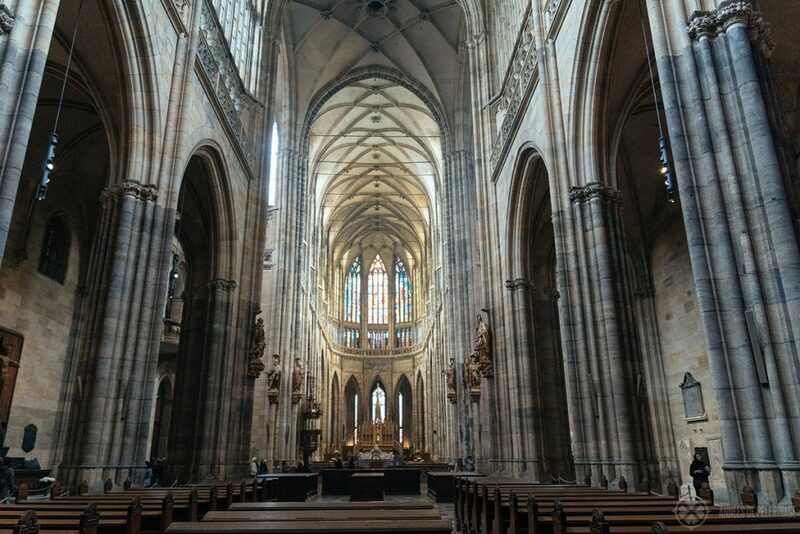 The Gothic Cathedral is the largest in the country, houses the Czech Crown Jewels (not open to the public) and is the burial place of St. Wenceslas – the patron saint of the Czech state. On your tour through Prague’s old town, there is no escaping the central town square. It’s one of the prettiest of its kind in Europe and a great place to start your day exploring Czech’s capital. Many souvenir shops and restaurants are lining the square. 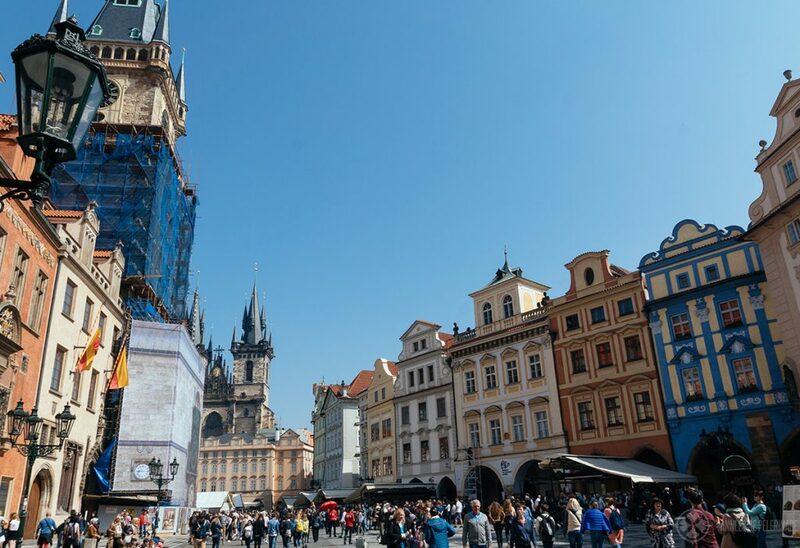 Some might argue it should be the last place you opt to have your lunch, but I actually like sitting in one of the many street cafés and watching the thousands of tourists from all nations walking past – if only for a Czech beer or two. Pro tip: Visit in December for the Christmas market or around Easter for the Easter market. 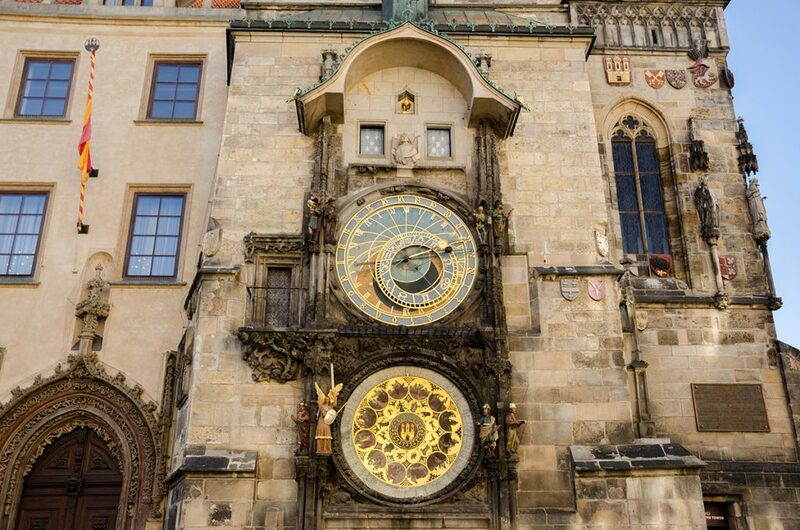 Right in the center of the Old Town Square, you will find the famous City hall and its gigantic astronomical clock (called Orloj). Even though it was constructed in 1410 AD (can you believe it?!) it’s still a marvelous timepiece with more information on the movement of the celestial bodies than you could possibly take it. Pro tip: The clock chimes every full hour with little figures peeking out of the two blue windows. If you are the religious guy or girl you definitely should visit the Church of Our Lady Victorious (Kostel Panny Marie Vítězné). And even if you aren’t the magnificent church of the Carmelites is still a must-see in Prague. Why? 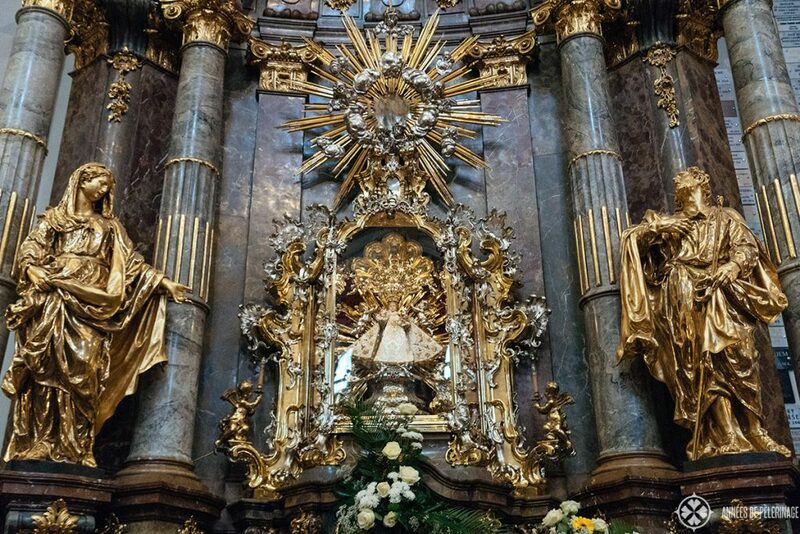 Well, it’s the home of the famous Infant Jesus of Prague – one of the most venerated statues of the Infant of Jesus worldwide. Many copies have been made of the holy relict dating back to the 16th-century, but the original can still be seen in Prague. The miraculous infant is said to grant favors to those who pray to it. My favorite spot in Prague is definitely Letná Park. Why? First of all, I believe it’s the best viewpoint in the city. The old town, the castle and the Lesser Quarter can all be seen from the verdant hills of the park. But it’s also one of the few (sort of) quiet places in the city. 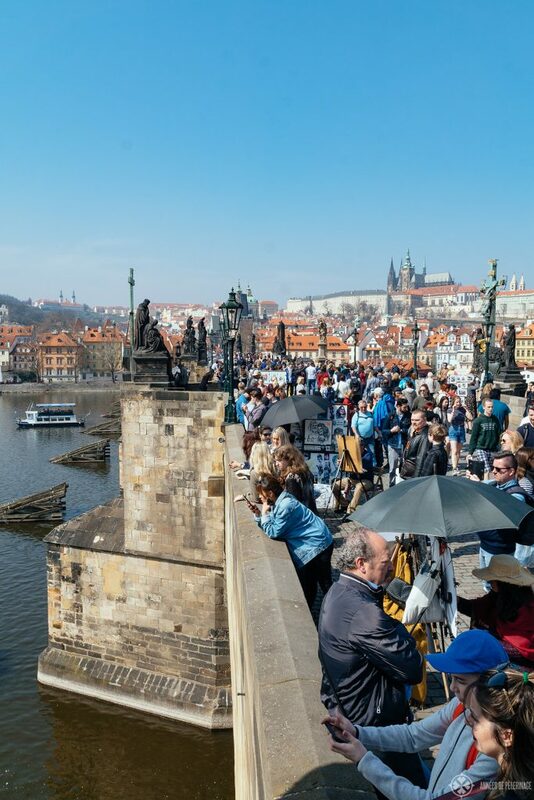 You’ll see some locals picnicking on the meadows, and some adventurous tourists, but otherwise it’s nothing compared to the pedestrian traffic jam on the Charles Bridge or in the old town. Pro Tip: There is a restaurant inside Hanavský Pavilion. 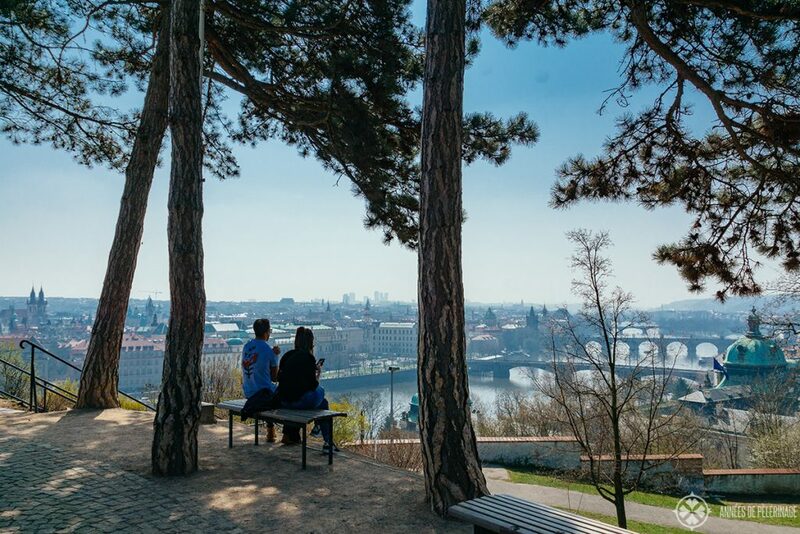 So enjoy lunch while breathing in the view of Prague! Oh and don’t miss the gigantic red Metronome in the middle of the park. 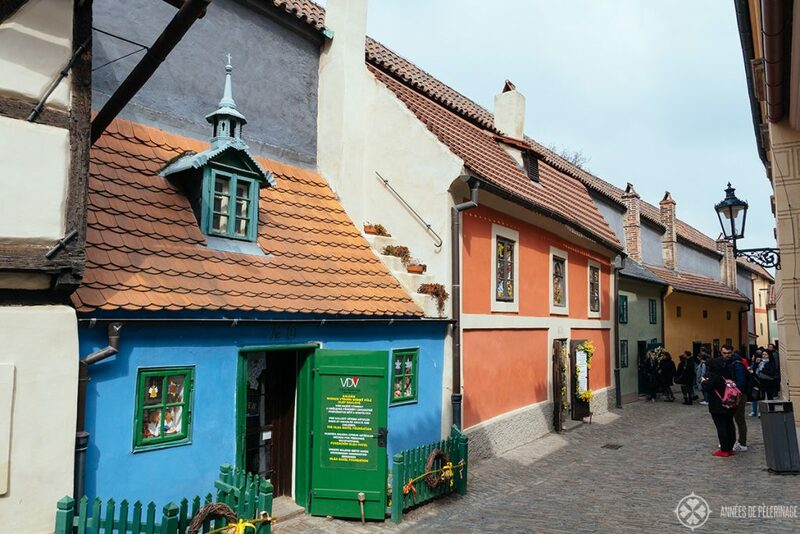 Technically speaking the so-called Golden Lane (Zlatá ulička) is part of Prague Castle complex. But as the medieval row of houses is so impressive, I felt like mentioning it separately. You will need a ticket to see it, but the small fee is well worth it. The name derives from the goldsmiths that lived here in the 17th century. These days it’s more or less a museum. Each tiny house will give you unique glimpses into the way life was like hundreds of years ago. There is also a big museum of medieval armors in the crenellations above the golden lane quite worth seeing if you are into that kind of stuff. It would be a mortal sin to skip visiting a medieval castle on your tour through Europe. 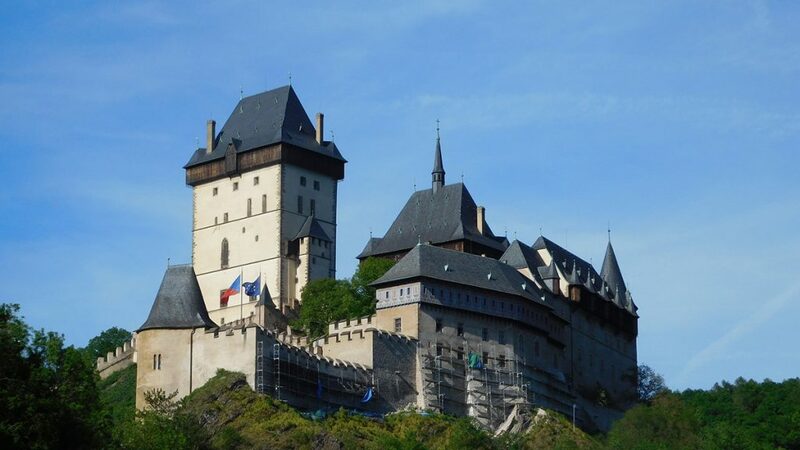 Only 30 kilometers away from Prague you will find the magnificent Karlštejn castle founded in 1348 AD. Do visit! 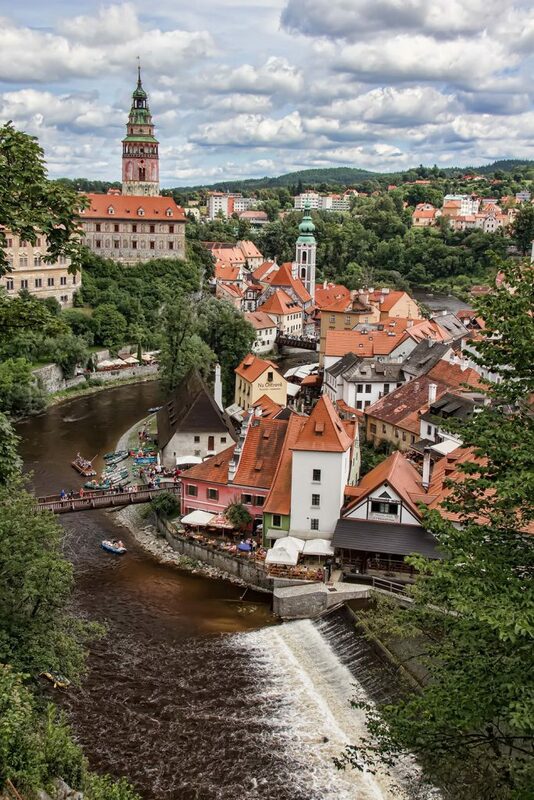 You could quite possible rent a car and move on to Český Krumlov (see below). Prague has an ancient Jewish Quarter and is home to Europe’s oldest active synagogue – the Altneuschul (“Old New Synagogue”) from 1270 AD. The whole quarter is extremely lovely, with beautiful houses and mansions. 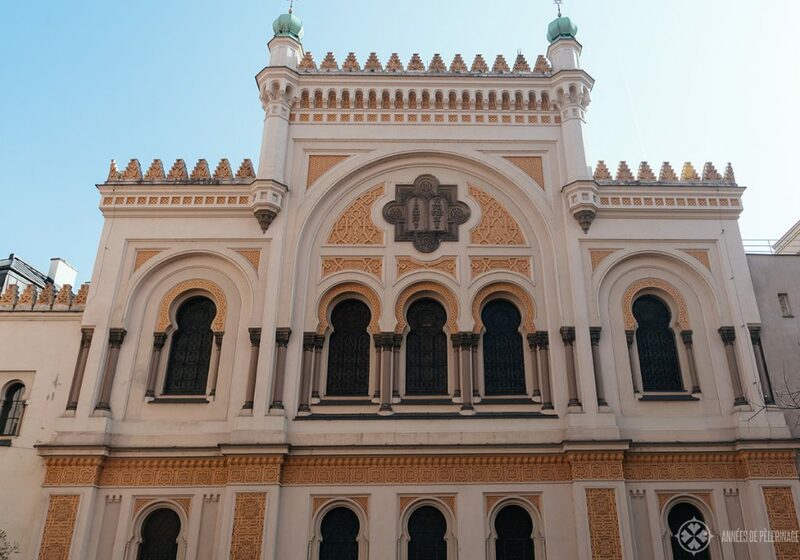 Make sure to visit the beautiful Spanish Synagogue as well and drop by at the Franz Kafka statue in front of it! The River Vltava is by far the most defining aspect of Prague. So, boarding one of the many river boats it’s perhaps a no-brainer. But I want to be honest with you: These little river cruises are not exactly a favorite pastime among local. Still, they offer you a unique view of the city and usually, there is a tourist guide on board explaining a lot of interesting details as you pass by the various points of interest in Prague. 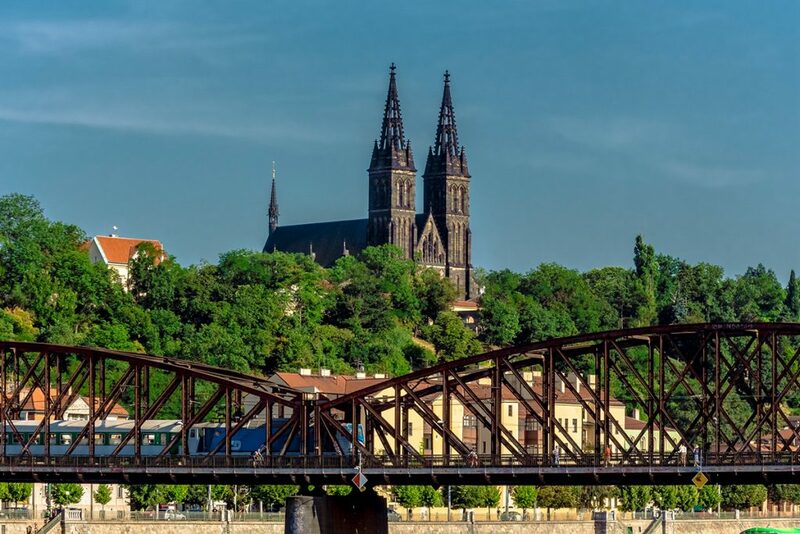 One of the lesser-known sites in Prague is definitely Vyšehrad fortress some 3 kilometers southeast of Prague Castle. Aside from containing Prague’s oldest surviving building (the Rotunda of St Martin), it’s quite the charming place and a good choice to escape the madness in the old town. Pro tip: Be here to celebrate New Year’s Eve with the locals and watch the amazing fireworks. 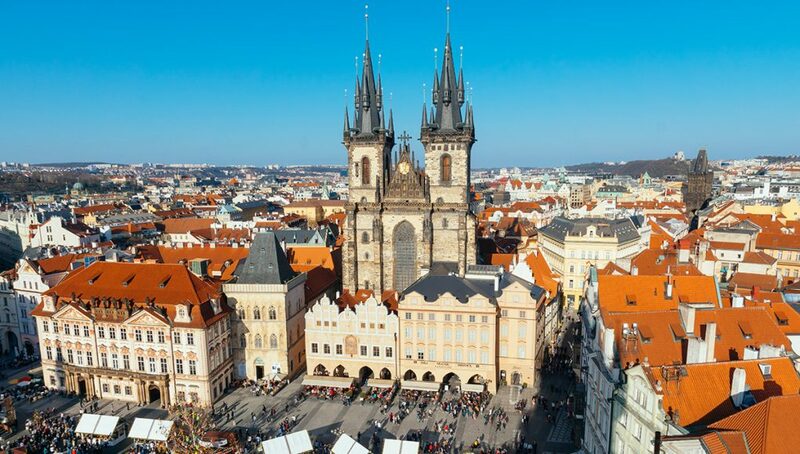 Often describes as the most impressive example of Prague Baroque, you definitely shouldn’t miss the St. Nicholas Church (Kostel svatého Mikuláš). I loved the amazing frescos by František Xaver Palko in the high dome! Looking for the perfect combination of Czech countryside and fairy tale picture book? Then do a day trip to Český Krumlov. The designated UNESCO World Heritage Site is the perfect medieval small town and easily the prettiest place in the Czech Republic. Paris, Munich. Vienna, Brussel are usually the cities you’d connect with Art Nouveau (I wrote a little art nouveau walking tour through my hometown Munich). But contrary to what you might think, Prague has some amazing buildings from that time, you really shouldn’t miss exploring. The Municipal House right in the center of the city is a good starting point, but the whole Jewish quarter has many beautiful examples as well. Alphonse Mucha (1860 – 1939) is one of the best known Czech artist -, particularly for his Art Nouveau posters. In Prague, there is a whole museum dedicated to his work, one you should definitely put on your list of things to do in Prague. 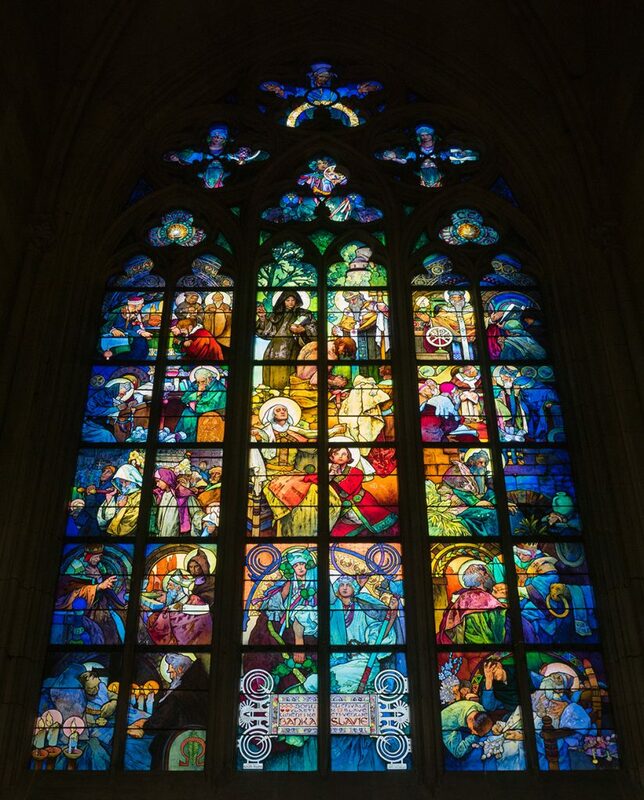 Pro tip: He designed one of the beautiful stained glass windows in the St. Vitus Cathedral (middle, right side). 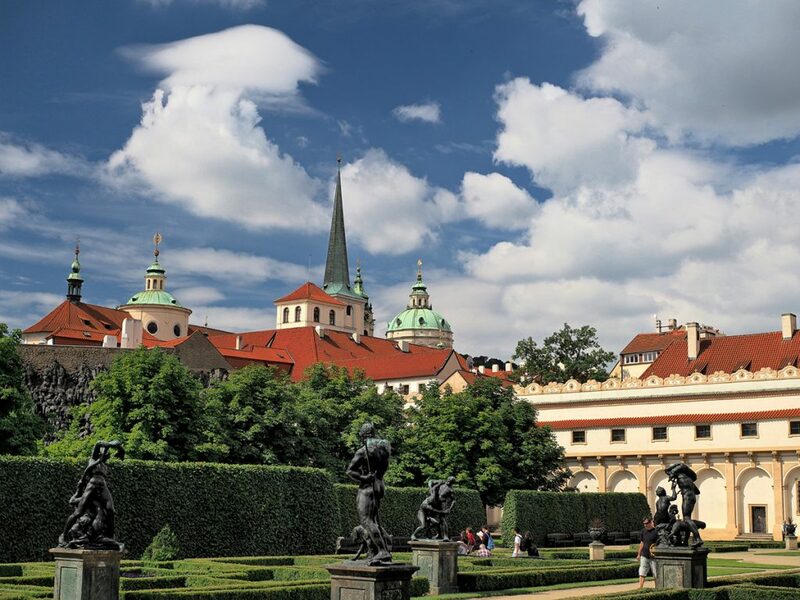 There are quite a lot of beautiful palaces in Prague and Wallenstein Palace is one of them. The palace is, sadly, not open to the public, but you can visit the beautiful garden in front of it. As it’s not far away from Prague castle I recommend taking the long way through the back entrance of the castle and you’ll end up right in front of its gate. Prague Zoo is currently ranked as the 5th best zoo in the world. They have a very strong focus on breeding critically endangered species (like the Chinese giant salamander or the Przewalski Horse), and modern compounds. Truly one of the best things to do in Prague with kids. 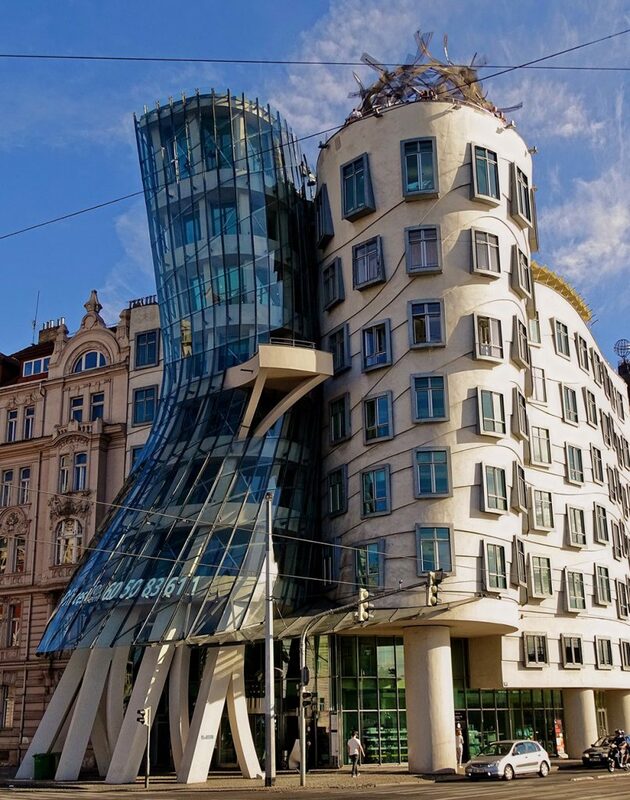 I’m fairly certain you saw an image of the “Dancing House” by Vlado Milunic & Frank Gehry on social media before. The house looks a bit like something went astray during construction, but the effect is quite intentional. The infamous house is located at the second bridge due south from the Charles Bridge on the side of the Old Town. Wow, this list of must-see attraction in Prague has gotten quite long already. Still, there are quite a lot of other things to see in Prague I did not mention. For a start, I did not mention the famous Czech beer. You absolutely have to try it on your visit. Do eat: Trdelník are just soo tasty! Sames applies to the Czech food. Not eating a gulyás (small beef strips with gravy) and some knedlíky (a form of steamed bread) and other famous regional delicacies should be considered a mortal sin. 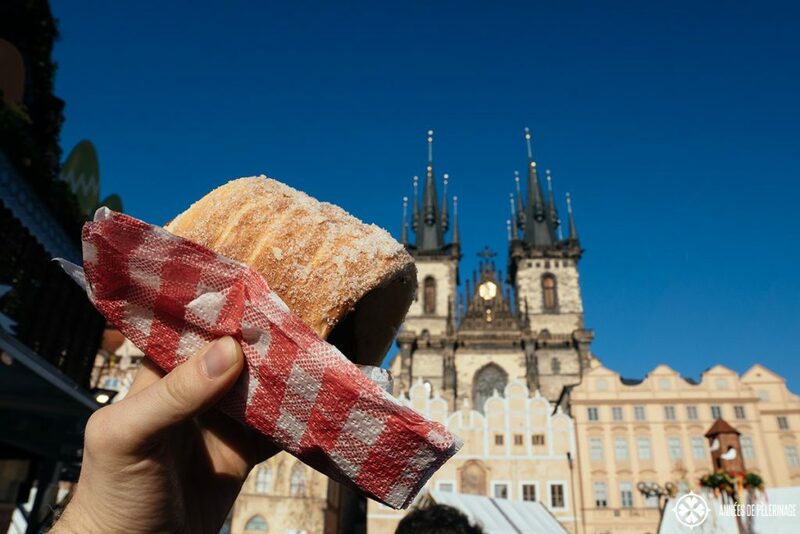 There are many street food vendors (especially for sweets) along the main route through the Old Town where you can pick up Trdelník (a kind of spit cake topped with sugar and walnuts). There are also tons of beautiful bars and nightclubs in Prague. 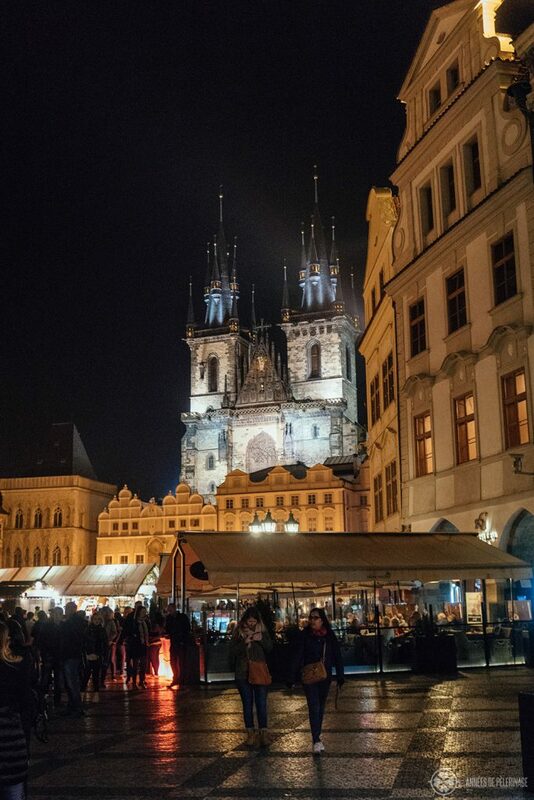 So, you should definitely not miss the Nightlife in Prague, either. Be warned though: if you were looking for non-touristy things to do in Prague, going out is probably not the best idea. Most pubs and clubs are packed with tourists – obviously, that doesn’t mean you can’t have a fun time! Note: I get commissions for bookings made through the links below. 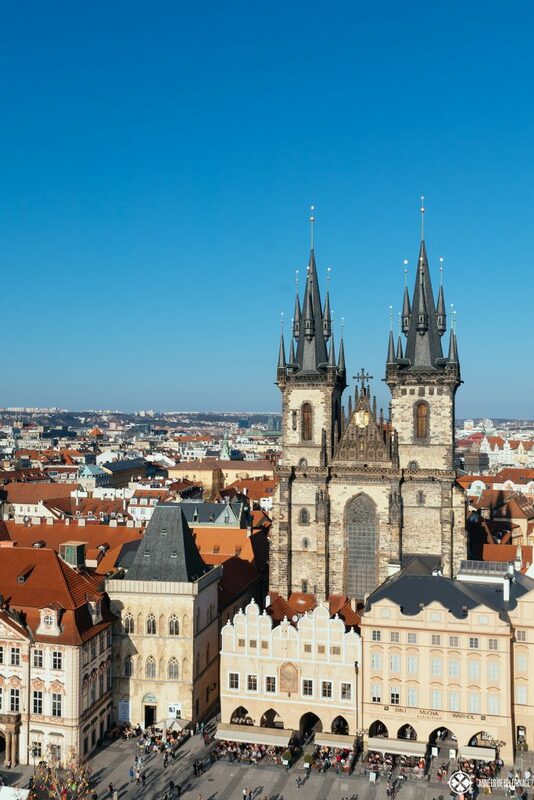 If you come to Prague for sightseeing, staying in the Old Town is probably the wisest choice. It is here most of the highlights on this list are located and you’ll find most pubs and restaurants in this area as well. Prices might be a bit higher than further outside, but I feel the little extra is well worth the comfort of finding the old town square in front of your doorstep (especially after a long night out). A very lovely place to stay for those on a smaller budget would be the Rybna 9 Apartments (click here for prices & more pics). 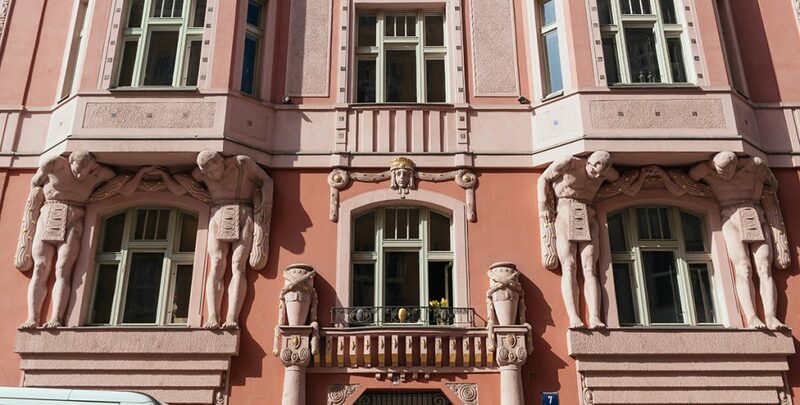 These apartments all offer a stellar view of the old town and beautiful sunny balconies. The best part: the old town square is barely 5 minutes walk away and they do have parking available. Truly great for a very smart price. 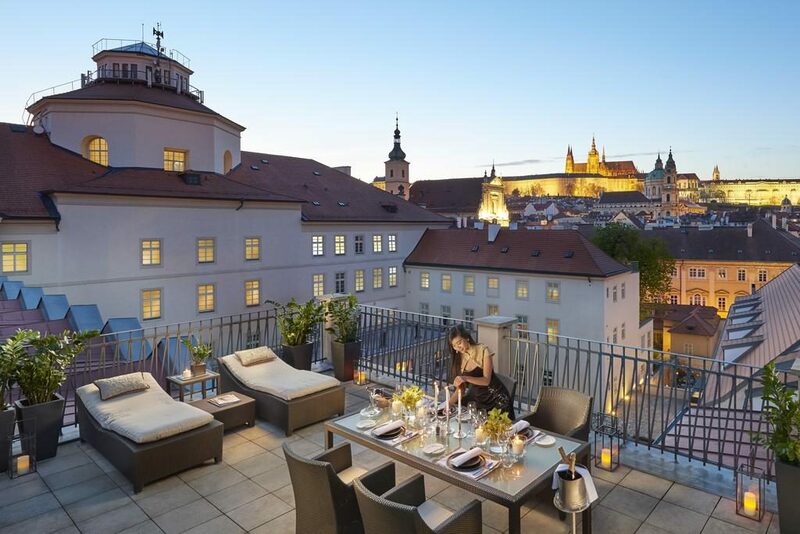 If you are looking for world-class luxury hotels, then the Mandarin Oriental Prague is certainly the best place you can start (check out prices & more pics here). The Four Seasons Hotel Prague is also a lovely choice, especially if you take on of their rooms with a river view (click for prices & more pics). Borth hotels are absolutely top-notch, have a lovely spa and pool and offer great views. If you are looking for a unique way & cheap place to stay in Prague, then do consider the Boat Hotel Matylda (click here for prices & more pics). I’d like to add that I’ve never stayed there, but friends of mine did and loved the unique flair. Truth be told, there really is no good or bad time to visit Prague. Personally speaking, I’d avoid July & August, as this marks the height of the summer holidays in Europe and the streets will be pure madness (though temperatures & weather will be usually quite lovely). Same applies to December when everyone will want to go on the famous Christmas market (admittedly it IS pretty). This pretty much leaves the off months. So, May, June, September, and October all have reasonably stable & warm weather and the tourist masses are manageable. Weekends will always be worse than weekdays, though. February through April and November will, usually, be quite cold with little sun, which is why I wouldn’t recommend visiting Prague then, but with a little luck, you can still have a fun time! So, this was my list of what to do in Prague. Hope you enjoyed it. Got any questions? Leave a comment below. Like this article? Pin it to your Pinterest board! Old Town Square was my favorite place to visit. The architecture is out of this world! !